One good thing about music, said the late great Bob Marley, when it hits, you feel no pain. But brother Bob forgot to warn that nowadays there may be mental anguish if you play music at a concert without a copyright license. Sadly, a concert organizer here may be about to feel the intensity of that pain. 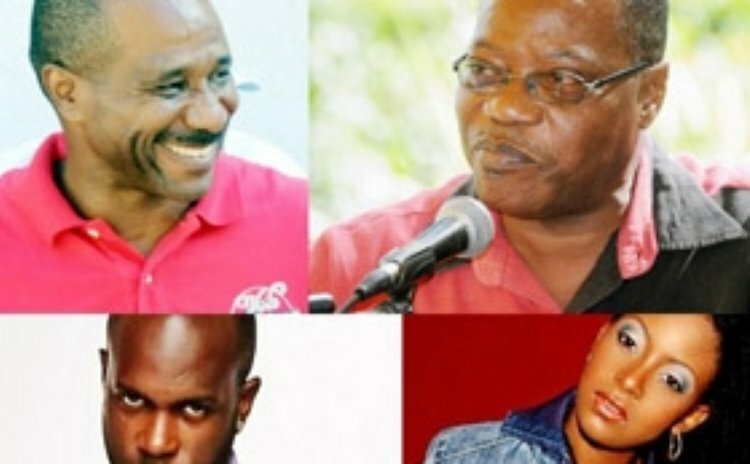 McCarthy Marie, the Chairman of the Eastern Caribbean Collective Organization for Music Rights (ECCO) says he's concerned that a High Court injunction granted to ECCO to prevent the staging of a concert without a license, featuring Trinidadian Soca stars, Bunji Garlin and Fay-Ann Lyons, scheduled for Friday Dec 6, at Krazy Koconuts night club was not obeyed. ECCO, through its legal counsel, Ronald Charles, filed the application for the injunction at 3.00 on Friday afternoon; Justice Errol Thomas heard the application at 3.30 pm. "I went to the venue but was denied entry and despite all my efforts the court order was disobeyed and we are concerned about that," Marie said. The matter, he added, is expected to be heard by the Court on December 20, 2013 and he anticipates that the Court will then deal with those who disobeyed the Court Order; the organizers of the show may now be "in contempt of Court." Marie said ECCO contacted promoters of the show on Saturday 30th Nov, 2013 to arrange for permission for the use of copyright music at the concert. The response was negative, he said. Subsequently, on Monday Dec 2, ECCO wrote to the organizers formally, explaining why a copyright music license was needed and this time, according to Marie, ECCO received no response. "Another letter was written to the organizers on the 5th of December which was delivered to the organizers by a bailiff. The letter explained to the organizers that failure to obtain the necessary license for the event would result in ECCO taking appropriate legal action to protect its interest and that of its members and worldwide affiliates since it controls, in Dominica, the right of public performance of virtually all copyright music in the world. Still, there was no response from the organizers," Marie said. The application for an injunction was then filed. The injunction states in part that: "Until further order of the Court, the Respondents(Frankie Bellot, Krazy Koconuts and Island Communications), whether by themselves, their servants or agents, are hereby restrained from putting on or permitting the Concert or any concert at the Krazy Kokonuts scheduled for Friday 6th day of December 2013, or from putting on or permitting any other public performance of musical works in the repertoire of the applicant (ECCO) without first obtaining a license to do so"
We have determined that the last sentence of this story ( now deleted) which stated that the manager of Krazy Koconuts said "no comments" to the Sun when contacted on the issue of the subject of this story was inaccurate; we apologise to Mr Sean Shillingford for the error.